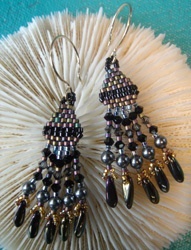 To view what jewelry is currently for sale please contact the artist at JoyfulNoiseStudio.hga@gmail.com. 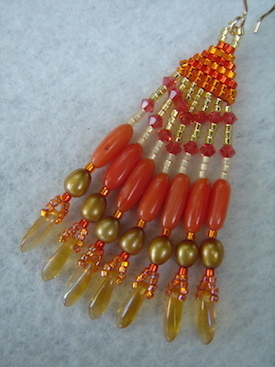 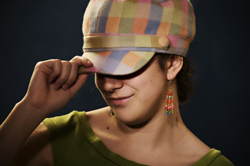 Many earrings of small, medium, and longer lengths are available in many color versions. 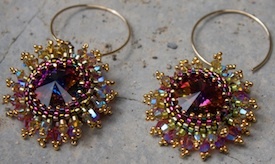 Additional images of earrings are available and images can be emailed for viewing.Custom design also available upon request. 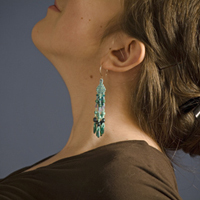 The artist is currently working on updating the website. 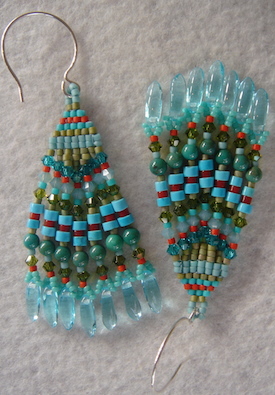 Elegant brick stitch earrings of Delica seed beads, Swarovski 3mm bicone crystals, pearls, and turquoise, finished with sterling silver French earwires. 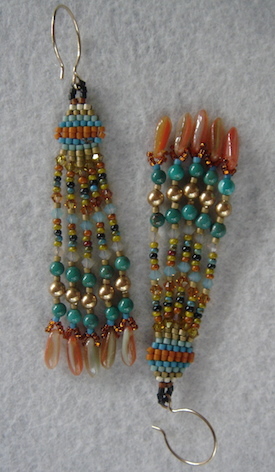 Elegant brick stitch earrings of Delica seed beads, Swarovski 3mm bicone crystals, pearls, and amber, finished with gold plate over sterling silver French earwires. 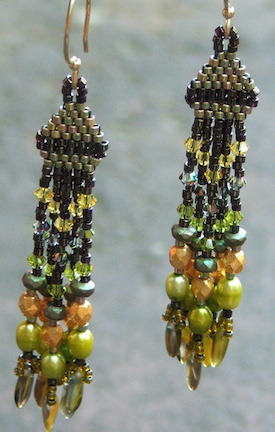 Elegant brick stitch earrings of Delica seed beads, Swarovski 3mm bicone crystals, pearls, and natural stones, finished with sterling silver French earwires . 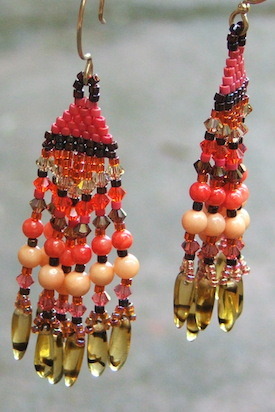 Elegant brick stitch earrings of Delica seed beads, Swarovski 3mm bicone crystals, pearls, and coral, finished with gold plate over sterling silver French earwires . 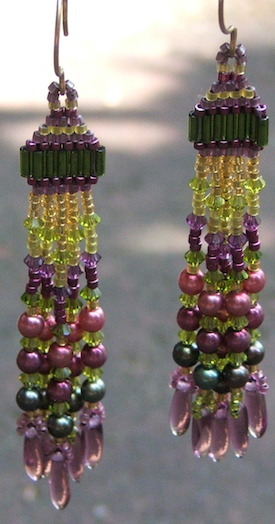 Elegant brick stitch earrings of Delica seed beads, Swarovski 3mm bicone crystals, pearls, and natural stones, finished with gold plate over sterling silver French earwires. 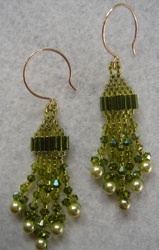 Elegant earrings of Delica seed beads, Swarovski 3mm bicone crystals, and pearls , finished with gold plate over sterling silver French earwires. 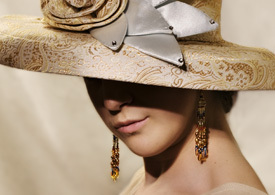 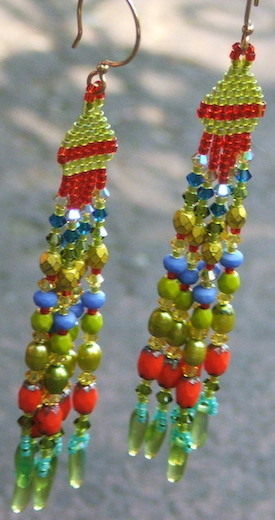 Earrings are approximately 2 inches long including the earwire. 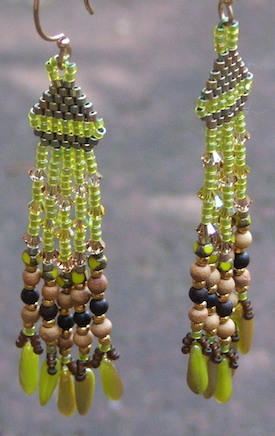 Elegant earrings of Delica seed beads, Swarovski 3mm bicone crystals, pearls , finished with gold plate over sterling silver French earwires. 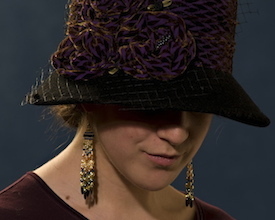 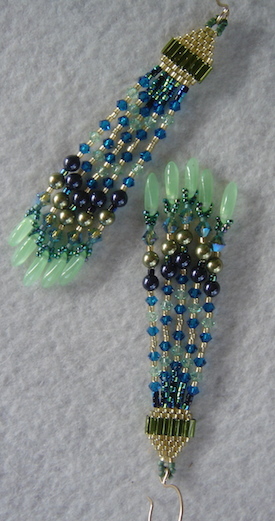 Earrings are approximately 2 ½ inches long including the earwire. 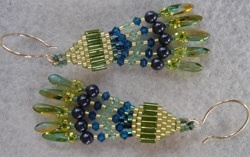 Elegant earrings of Delica seed beads, Swarovski 3mm bicone crystals, and pearls , finished with gold plate over sterling silver French earwires. 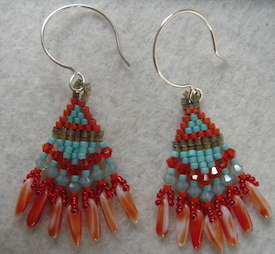 Earrings are approximately 2 ½ inches long including the ear wire.